The new dsDNA fluorescence kit enables sub-picogram concentration fluorescence quantification for single-cell, ChIP-Seq, laser dissection, and other low sample input genomics applications. This Ultra High Sensitivity dsDNA assay brings a 20-fold improvement in sensitivity over commonly used assays, allowing detection between 0.5 and 300 pg/µL to rapidly quantify the sub-picogram sample concentrations required of applications a such as next-generation sequencing. 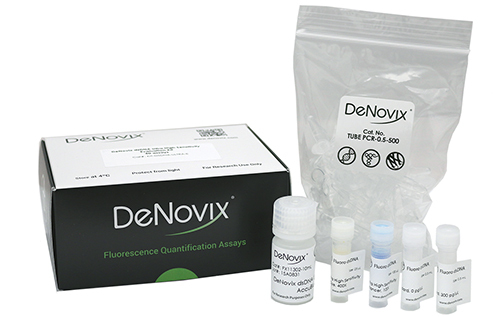 The combination of the FX Series instruments and the dsDNA assay technology provides an analytical package to remove existing barriers to the limit of detection of fluorescence quantification. A robust 2-point standard curve and simple mix-and-measure assay protocol delivers rapid, error-free set up.